EVGA is teasing a trio of GeForce GTX 1080 Ti custom cooled graphics cards which are "coming soon". You can check out the new designs on the official EVGA GeForce GTX 1080 Ti microsite. 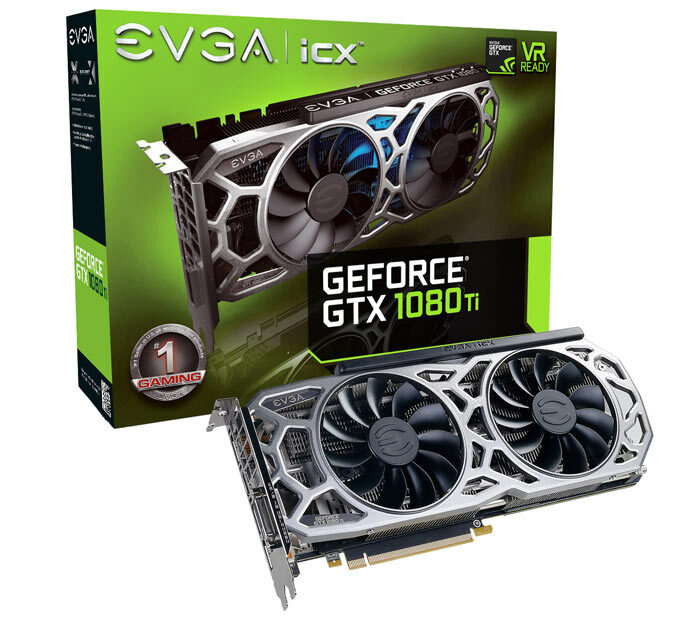 The page reminds us of the purported benefits of EVGA iCX Cooling and iCX Technology and provides a comparison table of the features of each SKU. If you click through to the 'Notify Me' page of any of the trio of unreleased cards you get further specifications. 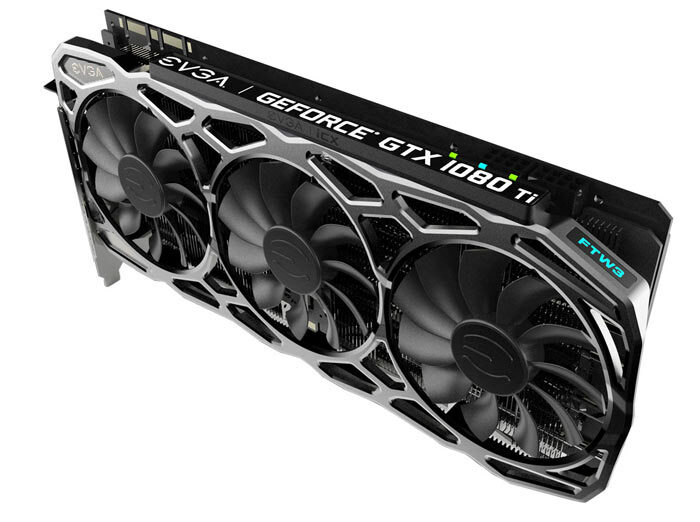 The GTX 1080 Ti models EVGA is producing are the already released Founders Edition, plus the SC Black, SC2, and FTW3 editions. All models come with a back plate fitted. Above you can see a comparison table which provides a rundown of each card's key tech specs including the base/boost clocks and other vital info. You can see above that the FTW3 stands out from the crowd by offering the fastest clocks out of the box, a twin BIOS setup, 8+8-pin power connectors, and a 10+2-phase design. This triple fan iCX design's maximum power draw remains a secret for now. Unfortunately we don't have pricing indications nor availability other than the hint these cards are coming soon. In other EVGA GTX 1080 Ti news, overclocker Kingpin has managed to edge past 3GHz GPU clock speed using an EVGA GeForce GTX 1080 Ti Founder Edition and LN2. Now just hurry up with the watercooled variants…! Liking the new look whats the difference between the Black edition & 1080ti SC ? Will they come with 3 years warranty or 5 years ? could be other stuff, just had a quick poke about.